Thames & Hudson, 2002, Hardback in Dust Wrapper. 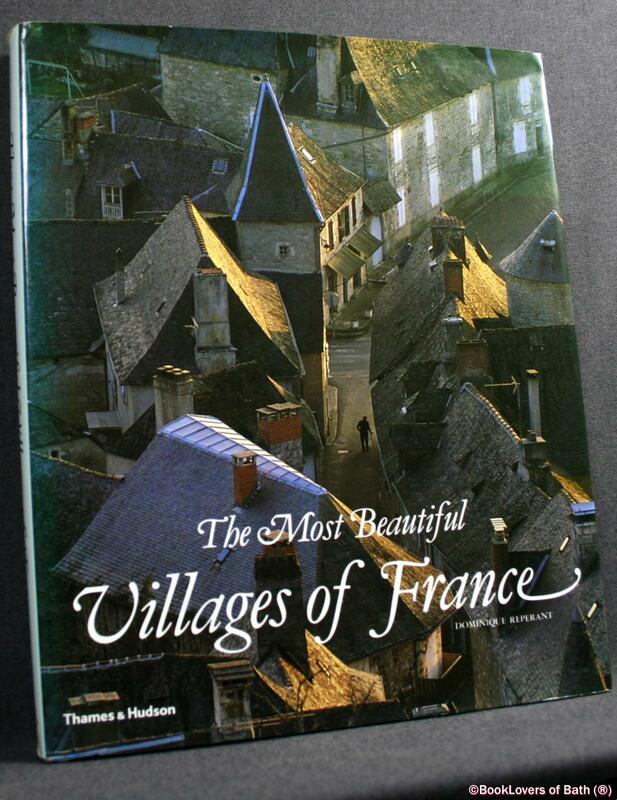 From the cover: “Here is a visual celebration of France’s most beautiful and perfectly preserved medieval villages. 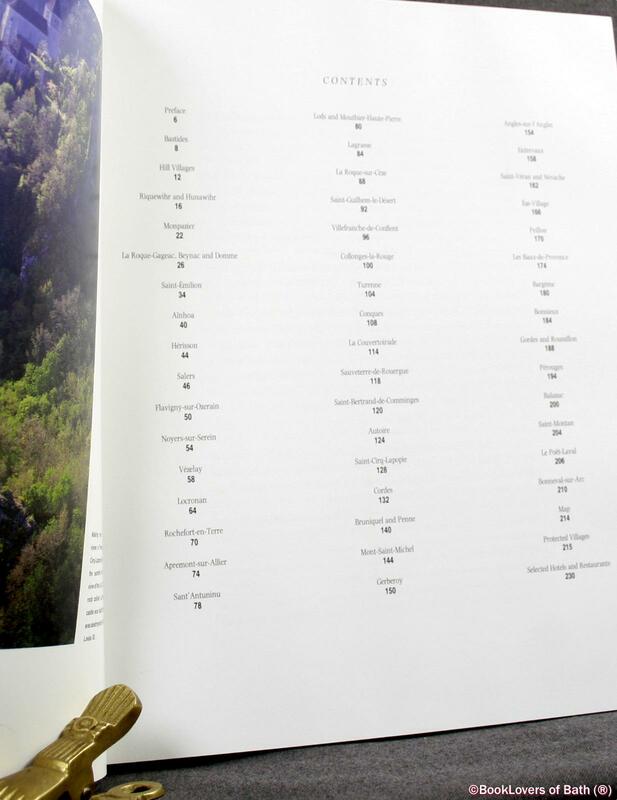 Spectacular colour photographs capture their regional ambience and special character, while detailed texts explain the foundation of each village and the growth of the community. The demands of defence and trade intertwine, from the walled bastides of the Southwest with their great market squares, to the hill-top refuges of the Mediterranean, precariously perched and turned towards the sun. Each village is a harmonious marriage of architecture and landscape: the ancient timber buildings of Saint-Veran are surrounded by alpine forests; the startlingly rosy village of Collanges-la-Rouge is named after the local red sandstone of which it is made. Here too are Mont-Saint-Michel, Vezelay and Conques, where settlements cluster around majestic monuments from the Middle Ages. Size: 12½" x 10¼". Grey boards with Silver titling to the Spine. 232 pages.